With an economy based largely on tourism, it’s no surprise that Florida has a strong culinary history. 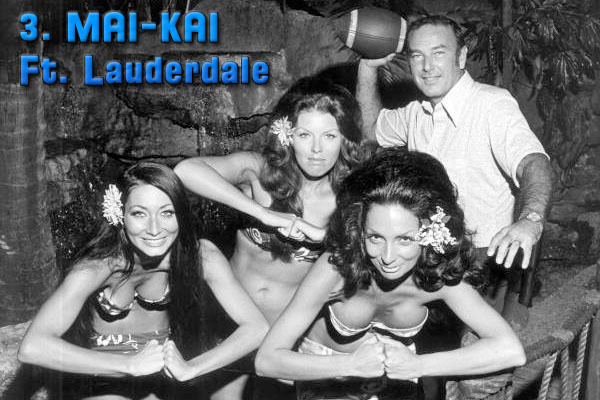 As people from around the world began flocking to the Sunshine State after completion of the Florida East Coast Railway, it was only natural that the number of restaurants would grow exponentially. 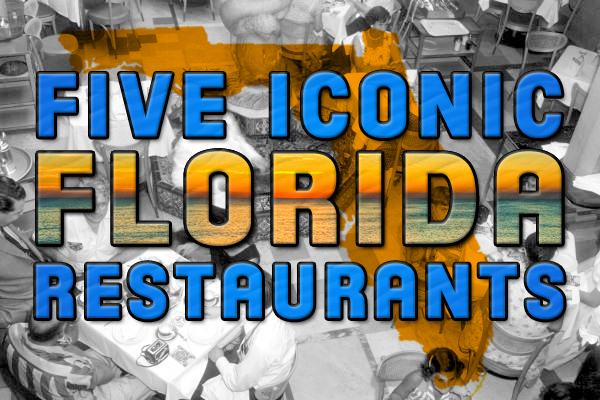 From the panhandle to the keys, numerous eateries have left an impact not only on the palates of Floridians, but on the country at large. Below you can read about five of these iconic establishments. For those looking to learn more about the restaurants and unique dishes of Miami, you can read IW&FS members Vicki and Joe Garrigo’s excellent article titled Cuisine of the Sun. Special thanks to FloridaMemory.com for providing most of the photos for this piece. 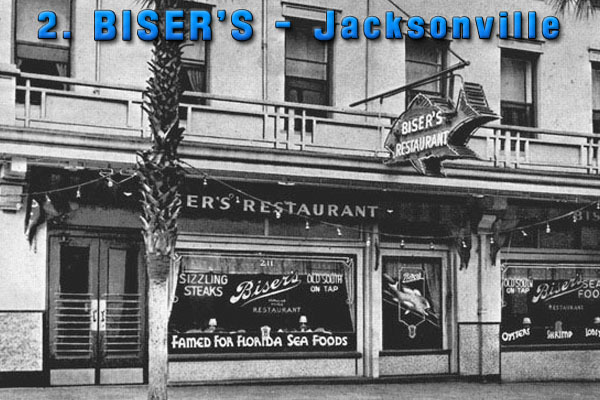 Known for its legendary red snapper and a neon sign in the shape of this most iconic dish, Biser’s became a mainstay for Jacksonville diners until its demise in 1968. 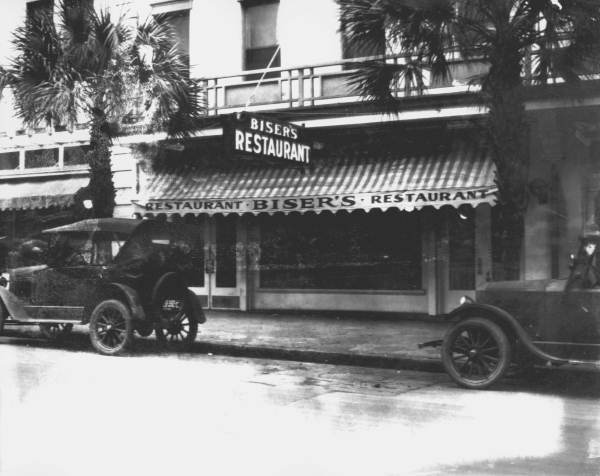 With several locations throughout its existence, the most profitable period came during its time at 211 Forsyth Street where the owner Howard Biser served “sea foods cooked by old Southern recipes, which preserve the tang of the sea and satisfy the appetite.” This, in addition to pouring “the best cup of coffee in the state of Florida,” turned Biser’s into a River City landmark. 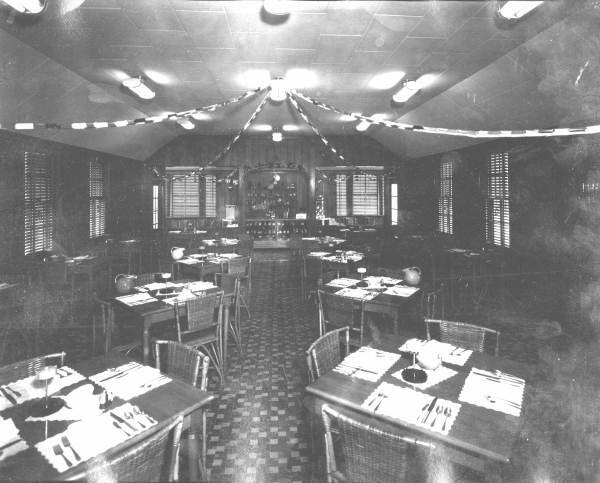 (Left) Biser’s Restaurant, circa 1920s. 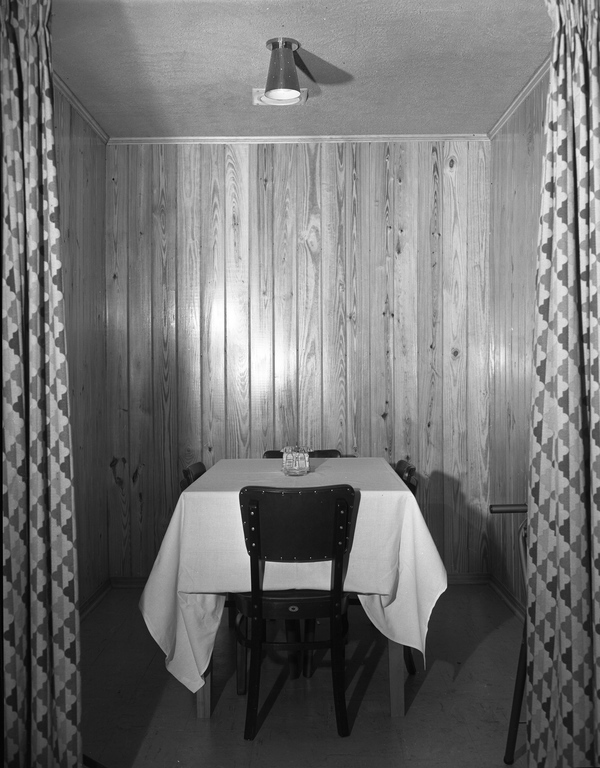 (Right) Interior of Biser’s, circa 1940s. 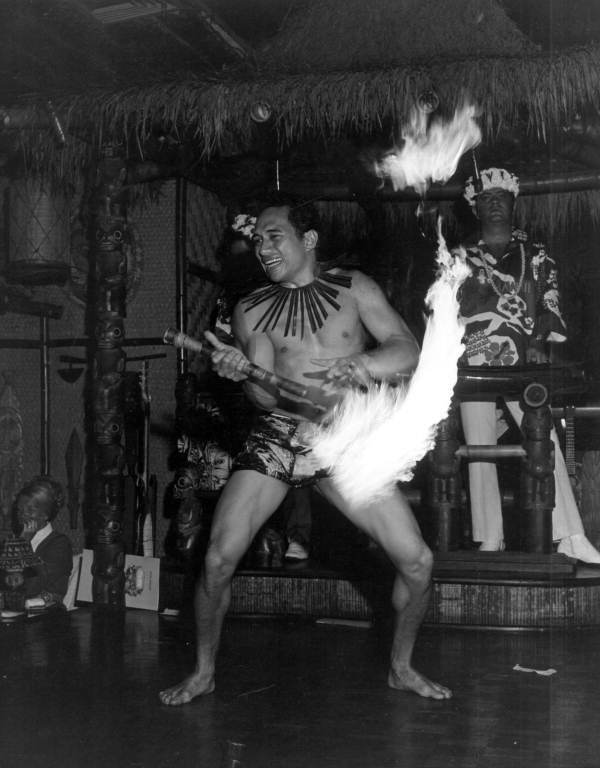 Beginning in 1956, this Polynesian tiki-themed restaurant featured “a troupe of flame-throwing, hip-gyrating, ukulele-playing performers [that] wow the well-fed, rum-soaked dinner crowd.” But its greatest publicist was legendary late-night talk show host Johnny Carson who promoted the restaurant on the air many times, especially the grass-skirt wearing “Mystery Girl” who delivered a mystery drink to the many guests of the Mai-Kai. 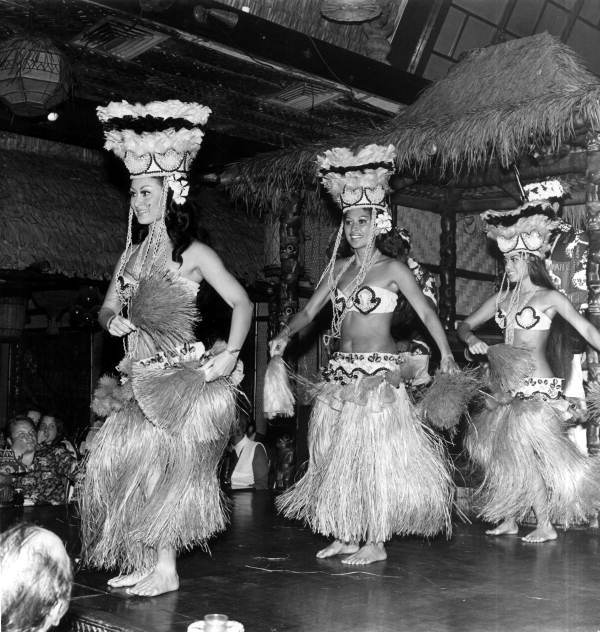 Polynesian dancers at the Mai-Kai, circa late 1960s. 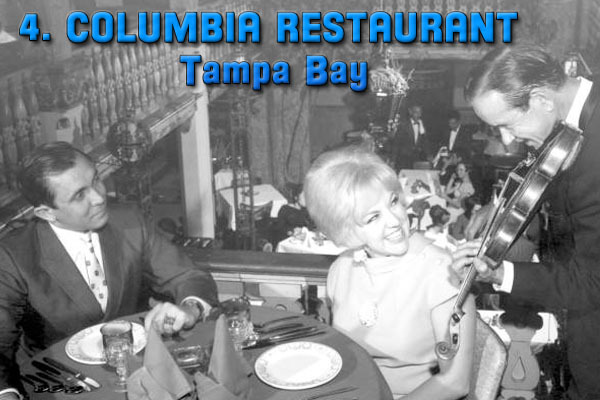 Since 1905, this Spanish restaurant has been the gem of Ybor City, Tampa’s historic cigar rolling neighborhood. 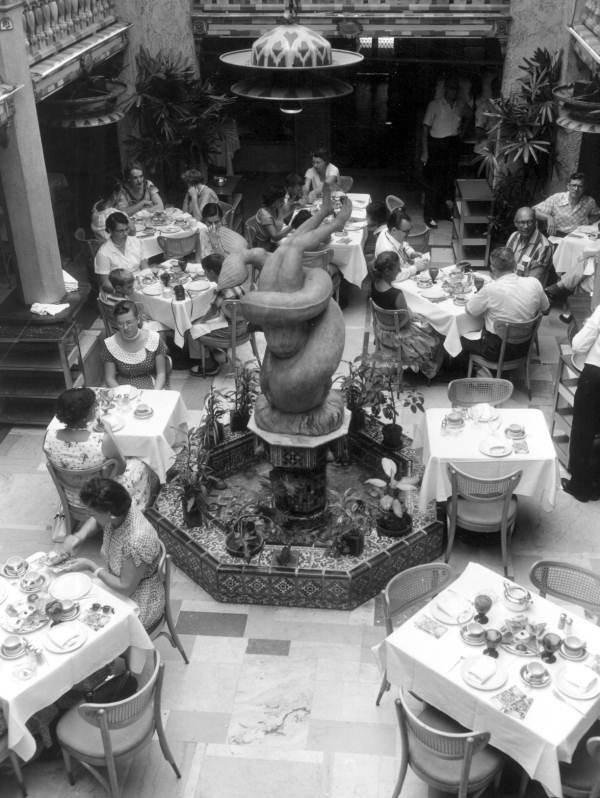 Designed to resemble an Andalusian courtyard, its mosaic tiled fountain and a three-hundred seat showroom has featured various Latin talent to central Floridians for decades, becoming both a culinary and cultural hotspot. Whether its Chicken Alicante, Spanish Omelets, gazpacho, or its signature dish, Arroz con Pollo Valenciana, there’s something for everybody at this landmark establishment. 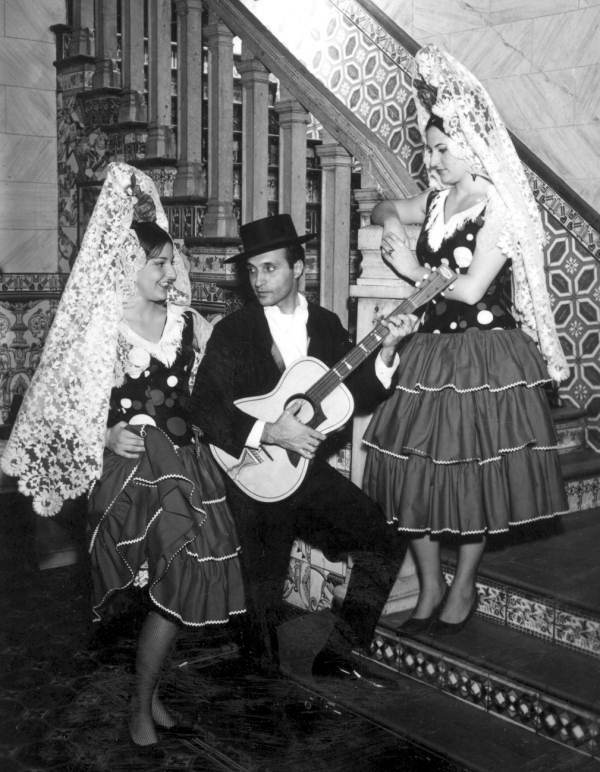 (Left) Spanish performers at Columbia Restaurant, 1968. (Right) Courtyard. 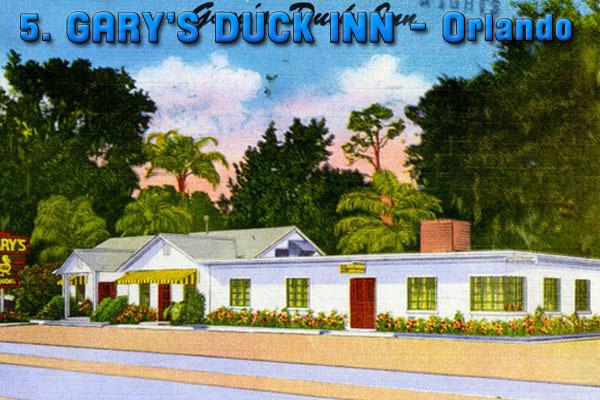 If you were ever driving along the South Orange Blossom Trail in 1950 with $3.65 in your pocket, then all the lobster you could eat was waiting for you at Gary’s Duck Inn – the inspiration for the multi-billion dollar Red Lobster chain of seafood restaurants. 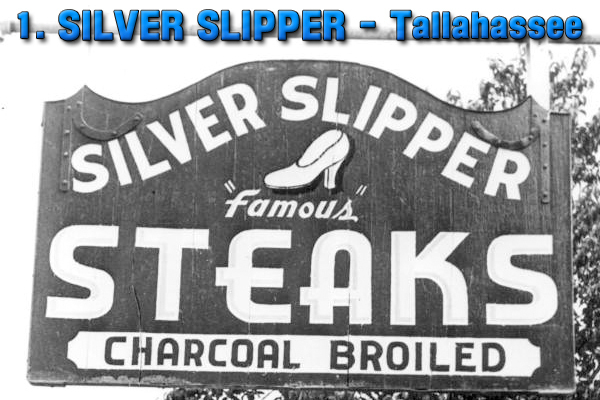 Before interstate highways, this Orlando institution was a favorite for locals and tourists who wanted to enjoy a broiled mullet dinner complete with biscuits, coleslaw and hush puppies. With branches in Jacksonville, Miami, Orlando, Naples & Palm Beach, the International Wine & Food Society is strong across the entire state of Florida. Perhaps these locals can chime in on their favorite restaurants in the Sunshine State? 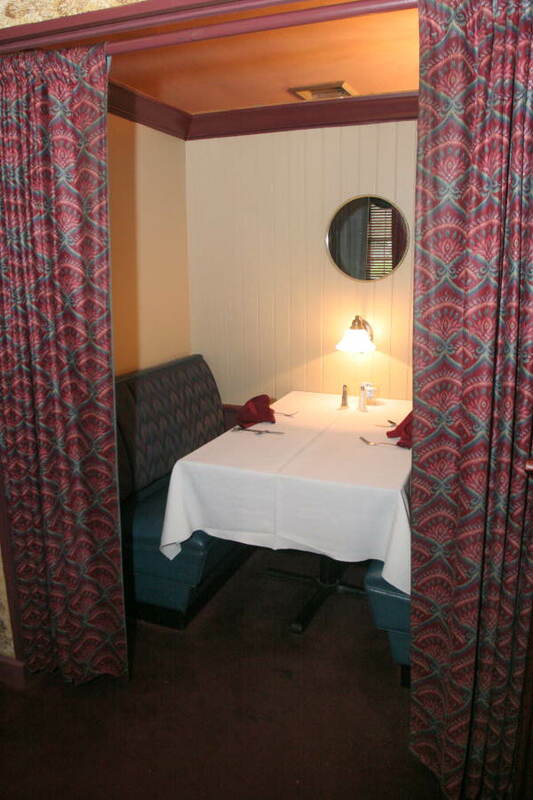 Did you ever dine at one of these restaurants?